Stevie® Awards는 세계 최고의 비즈니스 시상 대회인 2013 (제 10 회) International Business Awards에서 Best of the IBA Awards 의 수상자를 발표했다. 2013 IBA의 후보자는 Best of the IBA Awards 에 직접 신청할 수 없었다. 수상자는 IBA에서 획득한 상의 전체 숫자를 기반으로 한 점수 시스템으로 결정되었다. 올 해의 International Business Awards에서 Stevie Award 금상, 은상 및 동상 수상자는 8월 14일에 발표되었다. Best of the IBA Awards 의 수상자는 10월 14일 스페인 바르셀로나의 W 호텔에서 열리는 제 10회 Annual International Business Awards 연회에서 새로운 Grand Stevie Award 트로피를 받게 된다. 수상자는 다음과 같다. 올 해의 기업(Organization of the Year): Accenture (미국 일리노이주 시카고) 총점 29.5, Accenture는 2012 IBA에서 가장 영예로운 기업이었다. 올 해의 PR 에이전시(Public Relations Agency of the Year): Burson-Marsteller. 전 세계 Burson-Marsteller 사무소는 총점 26점을 얻었다. 탑 10: 상기 수상자 다음으로 아래와 같은 참가기업들이 2013 IBA에서 가장 높은 점수를 얻었다. 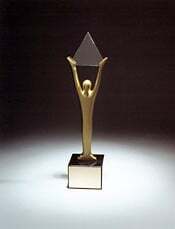 2013 IBA의 모든 Stevie Award 수상자 목록을 포함하여 International Business Awards에 대한 더 자세한 정보는 www.StevieAwards.com/IBA에서 볼 수 있다. Stevie Awards는 American Business Awards, International Business Awards, Stevie Awards for Women in Business, Stevie Awards for Sales & Customer Service의 네 가지 프로그램으로 구성된다. 다섯 번째 프로그램인 Asia-Pacific Stevie Awards는 다음 달 참가자들에게 개방된다. Stevie Awards에 대한 더 자세한 사항은 www.StevieAwards.com에서 보거나Twitter에서 @TheStevieAwards를 팔로우하면 된다.